After attracting a lot of interest, and home offers, we have chosen a wonderful local home for Lacey. The introductions went well and Lacey has settled in beautifully. We will remain in close contact with Lacey and her new family and continue to help and advise. Lacey has recovered well from her operations and is looking much better. She has lost weight and her coat is growing in again nicely. She is a sensitive soul, and still shows signs of anxiety over her lost litter, collecting up any toys, socks (and once even a smaller dog!) and taking them to her bed. To enable us to make sure she continues to do well we are homing her locally and Lacey will be meeting her potential new home very soon. Poor Lacey suffered a rare complication to her spey earlier this week and, thanks to her observant and quick thinking foster home, she was rushed to the vets and was back on the operating table very quickly. She is now back home and recovering well but it gave us all a big scare! 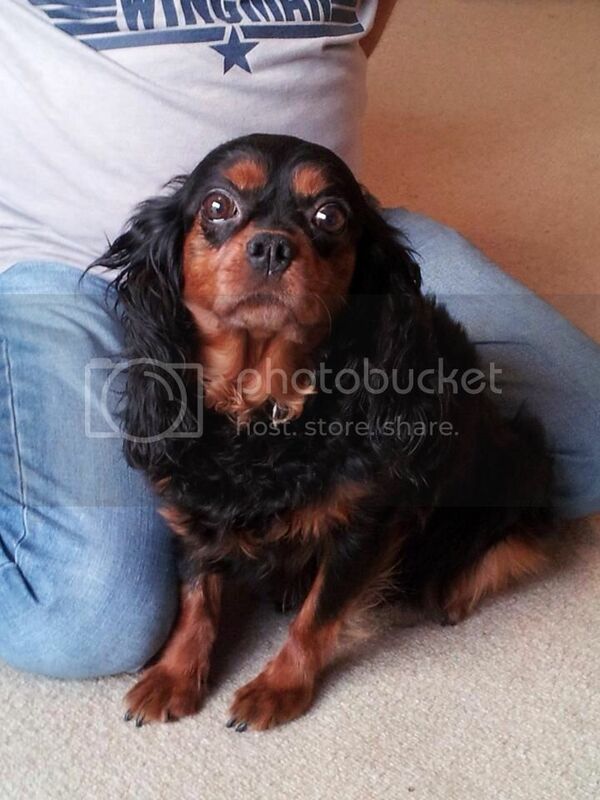 Lacey is a 4 year old CKCS who has been used for breeding. She lost her last litter during a very recent ceasarian, and came into our care 5 days later. She suffered a haematoma on her wound but this has cleared up with a strong course of antibiotics, and she is settling in to her foster home where she has been collecting up all the soft dog toys to nurse instead of her lost litter. Lacey is not yet up for rehoming as she has a long way to go,and some weight to lose, before she is ready, in the meantime she is recovering from her ordeal in her safe and comfortable foster home.